Apple on Monday at WWDC 2018 announced the next iteration of its iPhone and iPad operating system, in the form of iOS 12. While Apple was expected to bring improvements to performance and software stability with iOS 12, the company had a lot of new features to announce, from ARKit 2 to Siri and new features to reduce screen time. Apple at the WWDC keynote in San Jose also announced that the entire range of devices that support iOS 11 will be eligible for the iOS 12 update - implying it would not be phasing out support for any devices this year. iOS 12 developer preview is available on Apple's developer portal, with the public beta out later this month. iOS 12 stable release will be released with the latest iPhone variants in the Fall of this year. Eligible devices are iPhone 5s and later models, all iPad Air and iPad Pro models, iPad 5th generation and later models, iPad 6th generation and later models, iPad mini 2 and later models, and the iPod touch 6th generation. iOS 12 is focused primarily on performance and system animation upgrades. Apple says these include up to 70 percent faster camera load time, while the keyboard will appear up to 50 percent faster and also be more responsive. App launches can be up to twice as fast, the company added. Apple's popular digital assistant, Siri is also getting certain upgrades. With Siri Shortcuts, the assistant is aimed to be smarter than before, suggesting actions based on factors like time, location, and even your calendar. For instance, Siri can scan your emails and messages for upcoming meetings and remind you to inform your teammates if you are detected to be running late. Actions can be customised, and with the new Shortcuts app, users even be able to create a series of actions from different apps that can be carried out by the press of a button or a voice command. A new Shortcuts API will allow developers to ensure their apps can take advantage of the feature. Siri can also allow on-demand ordering and fitness apps to send notifications based on your location as well as your usage patterns. One of the biggest additions to iOS 12 is the enhancements on the augmented reality (AR) front. Apple has unveiled the ARKit 2 framework. which brings features like multi-user AR, as rumoured, bringing support for multiple users in the same AR environment. The software development kit also comes with improved face tracking, realistic rendering, 3D object detection, and persistent experiences. Apple has also introduced a new open file format called USDZ, which offers universal scene description and arrives in a compact single file. This file format has been optimised for sharing and the Cupertino giant is working with companies such as Adobe, Autodesk, Sketchfab, Quixel, Ptc, and Allegorithmic to bring its latest AR file format to users on the creative front. Native support for USDZ will be available on Adobe Creative Cloud. Additionally, Apple has also introduced a new iOS app called Measure that brings support for easier object and line measuring helping implement AR in a better way. The Photos app is getting a few upgrades with iOS 12, with suggestions being at the core of it. With a trillion photos claimed to be shared on iOS devices every year, Search Suggestions has been added to the Photos app which will highlight key moments, important places, people, and categories of places from your library. 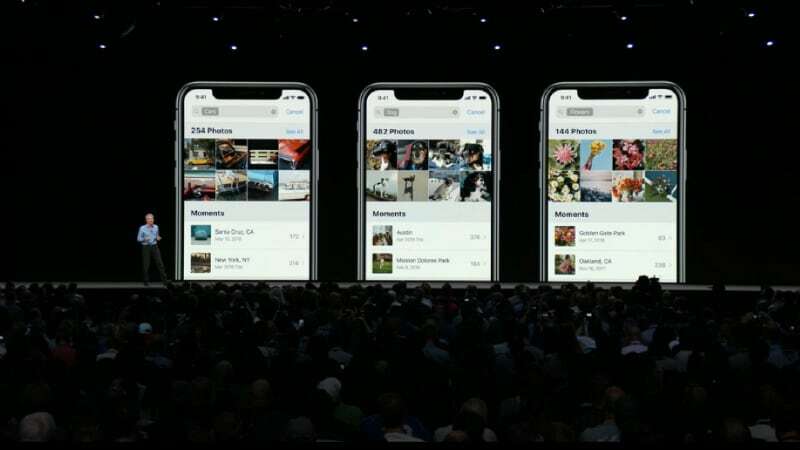 Apple has also indexed 4 million events that let you search the Photos app to recall images from concerts or sports events that you might have visited. A new For You tab brings personalised memories and highlighted photos that are from the same day in the past year(s), combining Memories and iCloud Shared Albums. The Photos app in iOS 12 will also offer effect suggestions to help enhance videos and photos in your camera roll. Lastly, sharing suggestions will enable users to share shots with other people that are recognised as tagged in the photos. Photos will be shared on the iCloud Photo Library in full resolution. Apple News has been updated with iOS 12. The new Apple News app gets a new Browse tab helping users discover new topics and publications. The iPad app gets a new sidebar to increase screen real estate for readers. The Stocks app on iOS 12 has been redesigned to offer a new look as well. Apple News is now supported on Stocks, with relevant business news sorted by the Apple News editorial team. Tapping on a stock shows a detailed chart with elements like after hours pricing, relevant news headlines, and access to full articles without exiting the app. Additionally, there is now a Stocks app on iPad. The Stocks app on iPad gets a sidebar that shows your stocks portfolio while the main menu shows relevent news stories. iBooks has an all-new design, and is now called Apple Books. It has a new Reading Now mode that lets users pick up pages right from where they left off. The inbuilt Store has also been given a redesign giving users an interactive way to browse through eBooks and audiobooks. Separately, Apple has introduced a new Voice Memos with iOS 12 making it available on the iPad. iCloud support on Voice Memos will let users sync their files across both the iPhone and the iPad. Apple's in-car software control system, CarPlay finally comes with support for third-party navigation apps. This means that you can now install Google Maps and won't have to rely on Apple Maps for in-car navigation during your road trips. The native Messages app is getting Tongue Detection and Wink support for its 3D-based Animoji, last seen on the iPhone X. Apple is also adding new Animoji characters including a ghost, tiger, koala, and a T-Rex. iOS 12 also brings a new feature called Memoji that brings customisable 3D emojis to the iPhone X. From the looks of it, Memoji looks similar to AR Emoji that debuted with the Samsung Galaxy S9 earlier this year. Apple has also added new camera effects to the Messages and FaceTime apps, letting users add filters, stickers, text, and Animoji to photos and videos. Apple has also introduced new developments to help users cut down on smartphone and tablet usage. These include enhanced capabilities for Do Not Disturb that helps eliminate notification clutter during bedtime while offering not more than a Good Morning message in the morning. Only once the users taps on the display will iOS 12 display notifications for the day. Users can automatically enable Do Not Disturb in advance based on time, event, or location. Screen Time will offer weekly summary reports to help you see which apps and app topics you are using frequently on your mobile device. 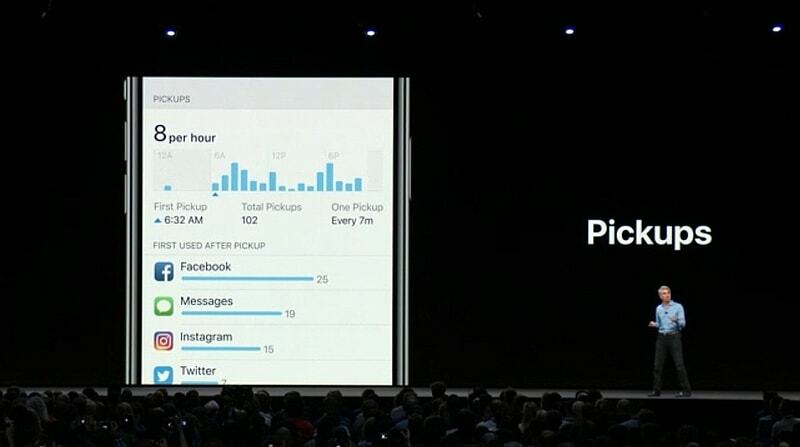 The summary will offer usage based on time, duration, how often you are using certain apps, and also which apps are sending you the most notifications. Additionally, to help users, App Limits will allow users to set time limits for certain apps with frequent reminders letting you know when time gets up. While you can ignore the warning, iOS 12 will continue to remind you about your extended usage. Parents will get activity reports for their kids' accounts on Screen Time, allowing them to create allowances with features like downtime, cutting down usage time, as well as promoting apps for frequent usage. Notifications are also getting improvements with the latest mobile software upgrade. Users will be able to choose what apps show notifications on the lock screen and which ones go directly to the notification centre. Siri will also provide suggestions to help cut down on notifications from apps that are rarely used. Apart from that, notifications on iOS 12 will finally be grouped together according to app or even category of apps. 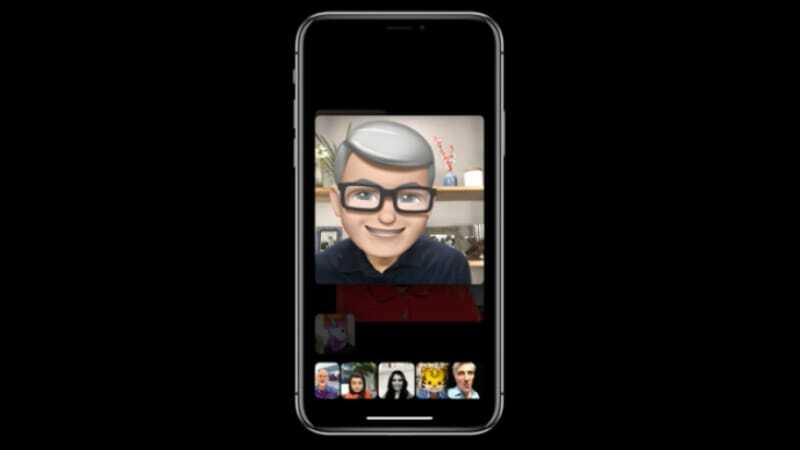 A much-awaited feature, Apple's native video calling app FaceTime will get support for group calls on iOS 12. 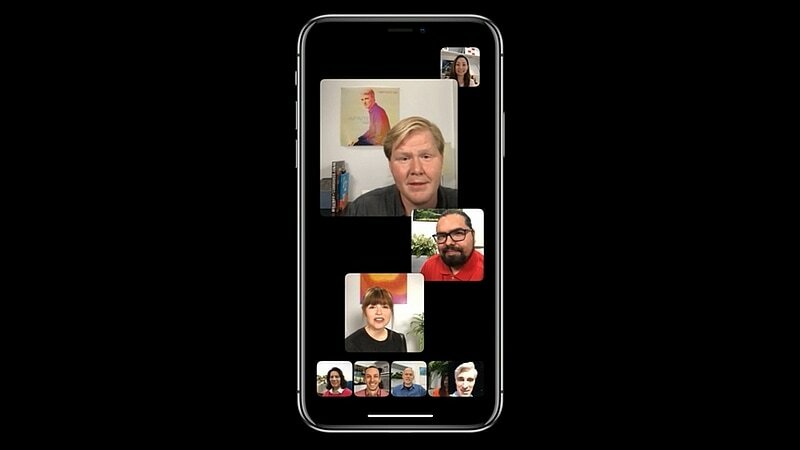 Group FaceTime will offer support for up to 32 simultaneous participants with the option of audio or video. There are plenty of nifty features, like enlarging the video window of the person currently talking. Participants can be added at any time, join later if the conversation is still active, or choose to join using video or audio from an iPhone, iPad, or Mac device. On the privacy front, the Safari browser on iOS 12 will get enhanced Intelligent Tracking Prevention preventing social media buttons from accessing personal user information. Other Safari additions include a simplified system information when users browse the web,again preventing sites from tracking. The browser now also automatically creates, autofills, and stores strong passwords when users create new online accounts and flags reused passwords so users can change them.